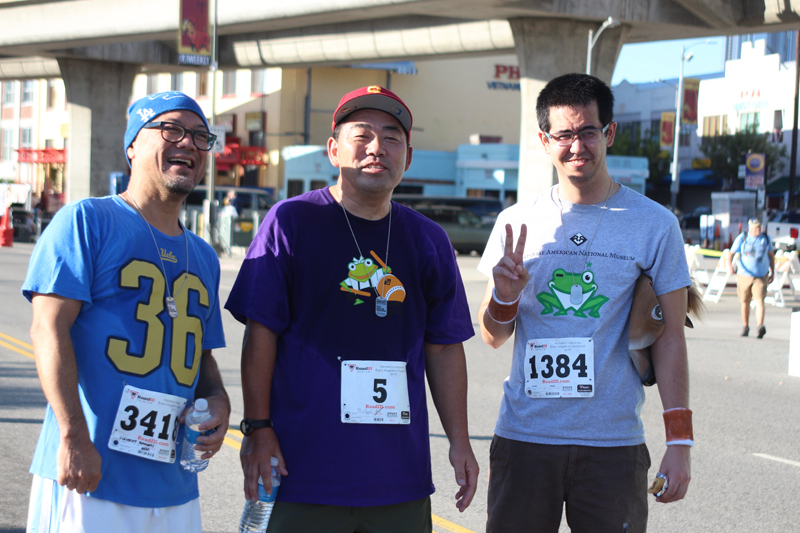 Every Angeleno Counts 5K and Festival. Photo by Richard Murakami. 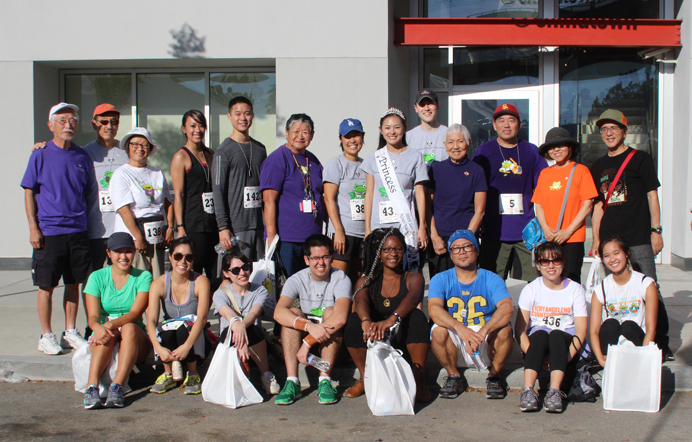 Last weekend, JANM volunteers, staff members, and friends of the museum participated in the “Every Angeleno Counts 5K and Festival” hosted by Homeboy Industries, a local organization dedicated to gang intervention, rehabilitation, and reentry. The event provided our museum with an opportunity to support a worthy cause. It also—in ways unexpected—prompted a meaningful display of solidarity by the JANM community. Nisei Week Princess Camryn Sugita. It all started earlier this year. 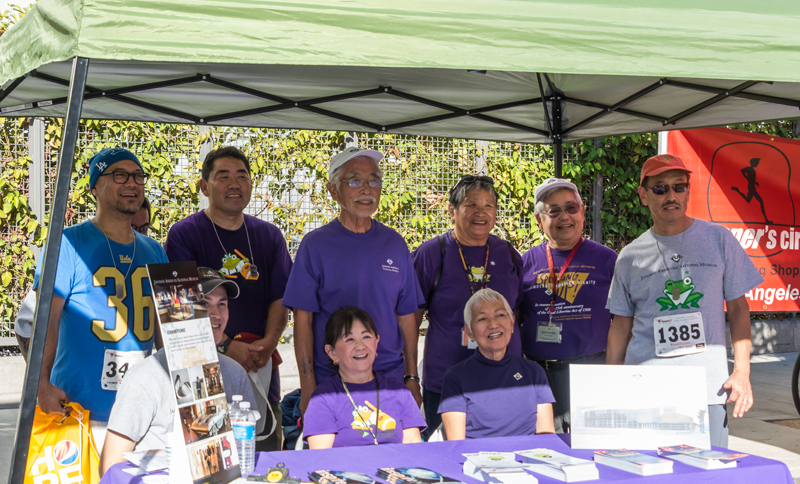 Upon being selected as a candidate for the Nisei Week Court, JANM Events Assistant Camryn Sugita was asked by the Queen’s Committee to pick an organization or cause to support throughout 2015. Camryn’s choice was Homeboy Industries. 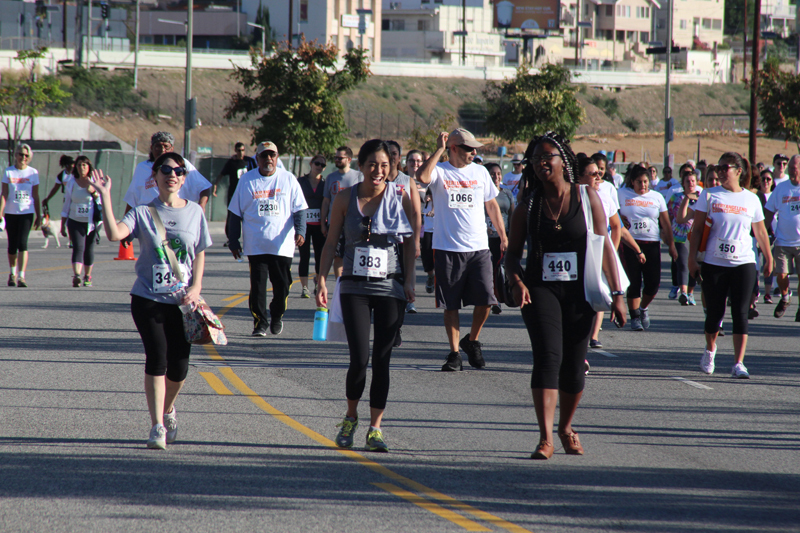 Every October, Homeboy holds its 5K and Festival, which celebrates the worth of every Angeleno and the work of the organization. Leading up to this year’s event, Camryn urged JANM staff and volunteers to participate—by running the 5K, making a donation, and/or coming out to attend the festivities. Among those eagerly accepting Camryn’s challenge was longtime JANM docent and taiko workshop leader, Hal Keimi. Hal, who has volunteered for the museum with his wife Barbara since 1990, signed up to join Camryn in the 5K. participate in the 5K run. Photo by Richard Murakami. Fate, however, took an unfortunate turn. Prior to the race, Hal had a serious fall while running near his home and suffered significant injuries. He was hospitalized and needed surgery on his jaw. 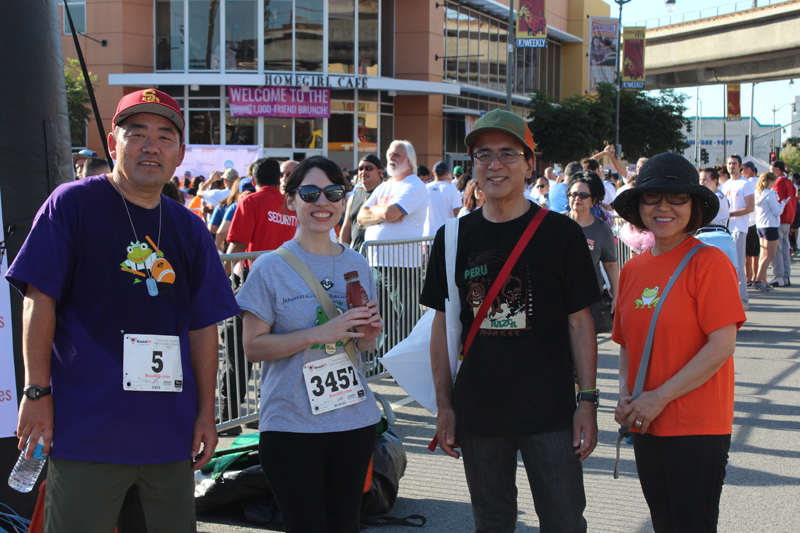 Learning of Hal’s accident, JANM staff and volunteers were even more determined for the museum to have a strong presence at the 5K and Festival. They launched a campaign called “Help Hal to Help Camryn” to rally support for their two friends and Homeboy Industries. and staffer Evan Kodani. Photo by Richard Murakami. 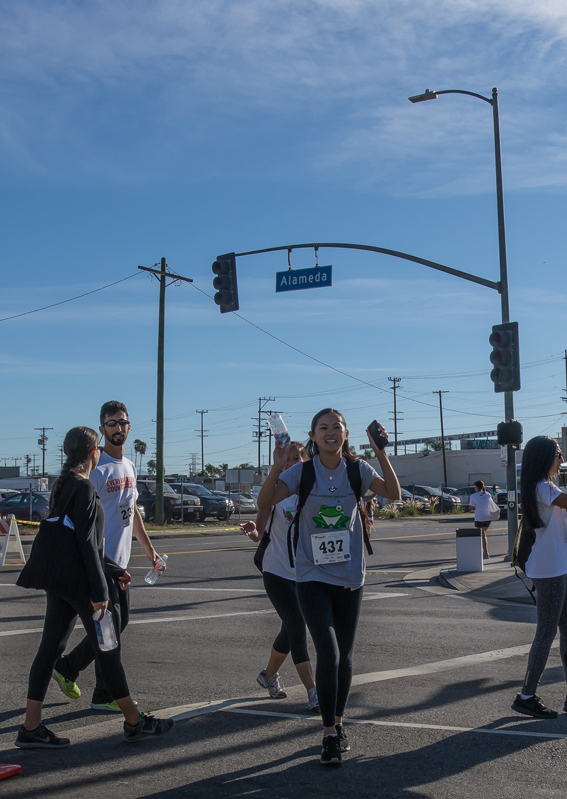 On the day of Every Angeleno Counts, members of the JANM community ran (and briskly walked) the 5K, cheered on participants, and staffed a vendor booth to spread the word about JANM and its mission. When all was said and done, Camryn had successfully raised nearly $2,300 for Homeboy Industries. JANM volunteer Michael Okuda, staffer Sylvia Lopez, Hirotami Ogawa, and his wife, volunteer Kyoko Ogawa, at Every Angeleno Counts. Photo by Richard Murakami. JANM staff and volunteers at the museum’s information booth. Photo by Ben Furuta. As for Hal, his condition is improving steadily. Barbara thanked all the individuals who came together to help Hal support Camryn and Homeboy.